May Mobility, a startup that develops fleets of self-driving microshuttles, has raised $11.5 million in seed funding, in part from units of BMW and Toyota. "Our new investors will allow us to deploy to more communities even more quickly, and to grow our engineering and operations capability to deliver the best customer experience, Alisyn Malek, COO and co-founder of May Mobility, said in a statement. The round was co-led by BMW i Ventures and Toyota AI Ventures, the startup said, with participation from Maven Ventures, SV Angel, Tandem Ventures, Trucks Ventures and YCombinator. The startup, launched in 2017, connects communities through full-service self-driving fleets in controlled environments such as residential areas, corporate campuses and business districts. The Ann Arbor, Michigan, company plans to launch commercial operations this year. "Vehicles and programs of all sorts are being announced or tested and trialed, but May Mobility is actually solving today's transportation issues with self-driving vehicles on real city streets today," Uwe Higgen, managing partner at BMW i Ventures, said in a statement. "We invested in the team because they're reducing the complexity of the problem to actually deliver autonomous mobility now, instead of years from now, and the feedback loop will be invaluable to the future of the industry." The company said it will have "several additional pilots in the coming months." 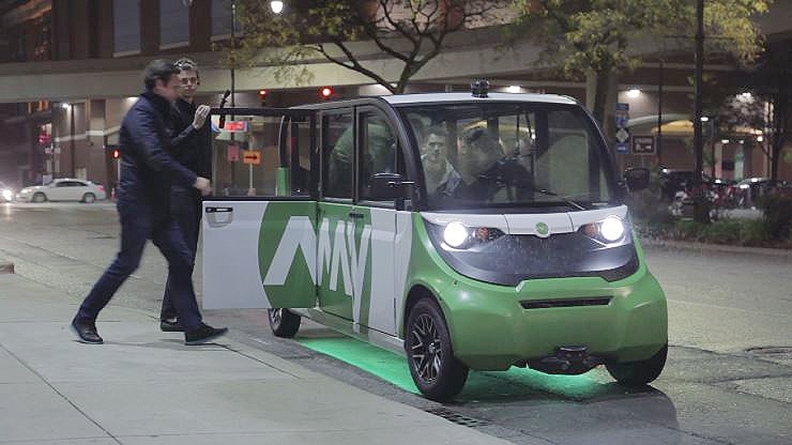 Jim Adler, managing director of Toyota AI Ventures said in a statement to Automotive News: “While full-scale vehicle autonomy is years away, May Mobility has developed a self-driving microtransit service using in-vehicle autonomy and additional fixed technology that is able to provide enterprise customers a safe, convenient way to move people around today within a geo-fenced area. "It’s an important step along the path to full automation -- with a business model designed to make money in the near term."